These high performing Gears Parts manufactured and supplied by us are extensively used in various industries including Power Plant, Chemical Plant, Cement Plant and Process Industry . These gears are helpful in controlling speed which includes pinion, spiral gear, hypoid gear, hydraulic gears and the reduction box. We take into account the diverse needs and requirements of our clients and offer these products in various grades. Our manufacturing unit is installed with highly modernized tools and equipment. Our company holds immense experience in this domain and is involved into offering a high-quality range of Gear Components to our esteemed customers. Our offered product is precisely manufactured by using quality assured raw material and cutting edge technology. 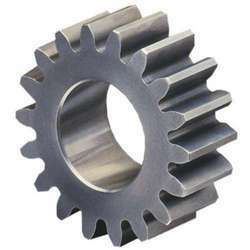 Moreover, Gear Components has accurate dimension. Prices may vary according to the Model & Specifications. Backed by rich industry experience, we have emerged as one of the leading manufacturers, exporters and suppliers of wide array of Spur Gear. In order to ensure durability, quality and perfect finish, these are fabricated using premium quality raw material at our well-equipped manufacturing unit. These products fall under the category of simplest gear and are appropriately used for transmission of rotator motion between parallel shafts. 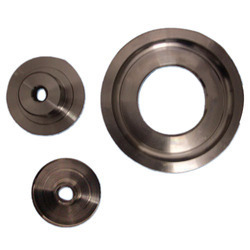 Moreover, these are highly resistant to abrasion and corrosion and are available in market at very feasible prices. Module : 0.75 module upto 10 module. Material : High Grade Steel Materials, Hylam, Cast Nylon, Aluminium, PB2 & Grade Cast Iron. 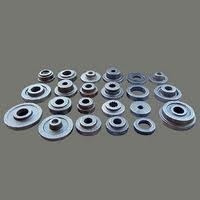 We are involved in manufacturing Industrial Sprockets to our valuable clients. These products are compact and sturdy. We manufacture these products as per clients demands. These are highly appreciated by our valuable clients. 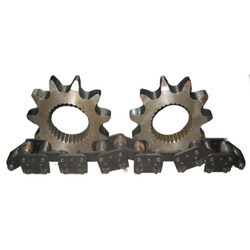 We are one of the leading Gear Blanks manufacturer in Coimbatore, we using the new technology with high grade raw material for manufacturing these gear blanks.